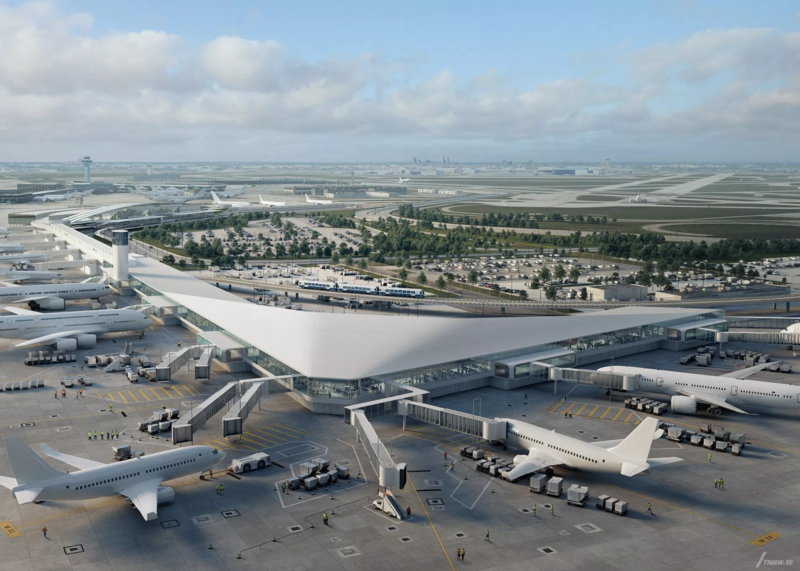 The Chicago Department of Aviation (CDA) and the O’Hare International Airport have broken ground on the first phase of a $1.2 billion expansion of Terminal 5. 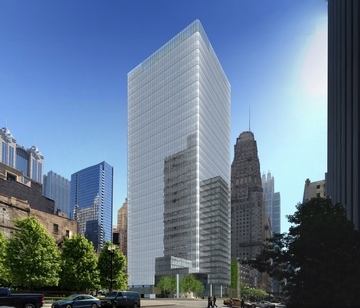 By 2021, the expansion of the 25-year-old structure will increase total building area by approximately 350,000 sq. ft., making way for new passenger amenities, airline lounges, concessions spaces and the capacity to serve more travelers. Muller & Muller, Ltd. (M2) and HOK are leading the design for the project, that will create an estimated 3,500 jobs over the next decade. It is one the first in a series of O’Hare 21 expansion projects. An expanded checkpoint with six new security lanes, and improved immigration facilities. In addition, by 2022, the 25-year-old baggage handling system will be upgraded with a new state-of-the-art system that includes baggage ID. Construction will follow a phased approach to minimize the impact on travelers, airlines and businesses currently operating in the terminal. The city will partner with its program manager and the construction manager at-risk, which will also be charged with maximizing opportunities for local residents and businesses through new bid incentives designed to provide greater opportunities for more firms to participate. Additionally, the city will soon issue an RFP for an integrity monitor to oversee compliance throughout construction on the O’Hare 21 program.